This definitely violates Facebook’s ‘offensive content’ policy. Reddit users are on the hunt for a man who created a Facebook page to promote his champion fighting dog, Chiko, who appears to have a 17-0 record in dog fights. 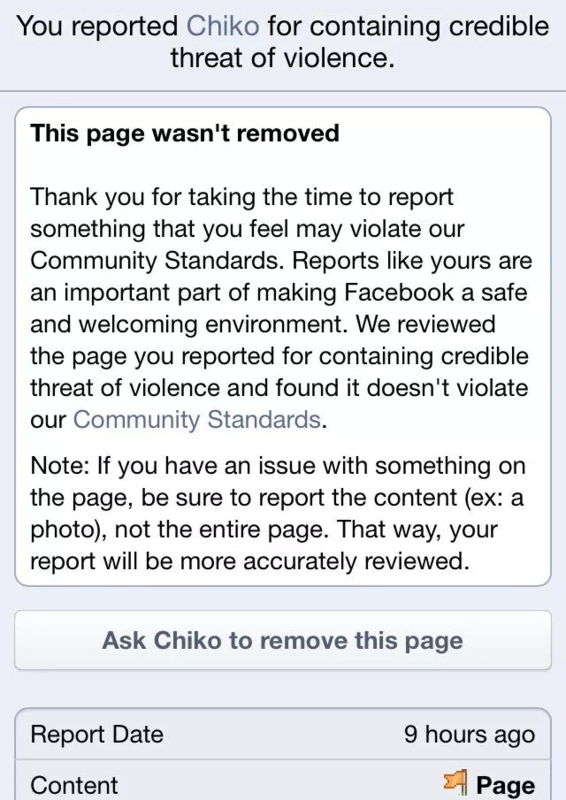 On the Facebook page, which was created on March 28, you can find horrific videos of Chiko tearing other dogs apart. The following are screengrabs of the videos from the Facebook page. The page, which has been liked more than 950 times, also features photos of Chiko lounging around. Redditors from r/rage have left negative comments on nearly every photo and video. They’ve also reported the page to Facebook administrators, although that doesn’t seem to be working. Facebook maintains a robust reporting infrastructure that leverages our hundreds of millions of users to look for offensive or potentially dangerous content. This reporting infrastructure includes links on pages across the Facebook site, systems to prioritize the most serious reports, and a team of professional reviewers who respond to reports and escalate them to law enforcement as needed. We encourage our users to report any offensive or inappropriate content by clicking on the “Report” links located on pages throughout the site. We have reached out to Facebook, and will update with any response we receive. Not much is known about Chiko’s owner, but from the looks of the page’s stats, he seems to be from Tunisia. Dogfighting and animal cruelty is a problem in Tunisia, as numerous petitions on Change.org and AVAAZ have been created to raise awareness. In February, a similar petition was started on AVAAZ.org when 4chan users discovered a French Facebook page of a man vicioualy abusing a cat. 4chan’s random imageboard, /b/, leaked the abusers name and address online Jan. 30 and sent hundreds of tweets to France’s Le Monde. Nearly 24 hour later, French police arrested the man in the videos. The 5-month-old cat named Oscar was ultimately rescued by France’s Society to Protect Animals (SPA).